Looks like I will get a chance to influence the presidential destiny of our nation. 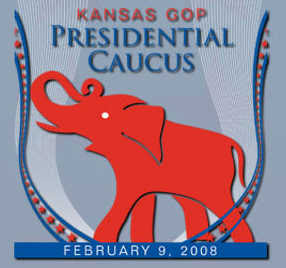 For the first time in 20 years Kansas will hold a presidential caucus.. albeit on two different days.. the Republican Caucus in on February 9th.. the Democratic one is February 5th. I am registered to vote in only one of these contests. I wonder if I should re-register? What's the registration deadline? Which primary race do you want to affect? Feb. 5 is Super-Duper Tuesday... by Feb. 9 it may all be over but the shouting, as the saying goes.